You are not logged in. [Log In] XT225+250 Rider's Group » Forums » Classic XT225 & XT250 Stuff » Ride Spaces & Places » To old to ride? I'd love one in Kinetic Yellow. let's see if I can use this Flickr stuff! 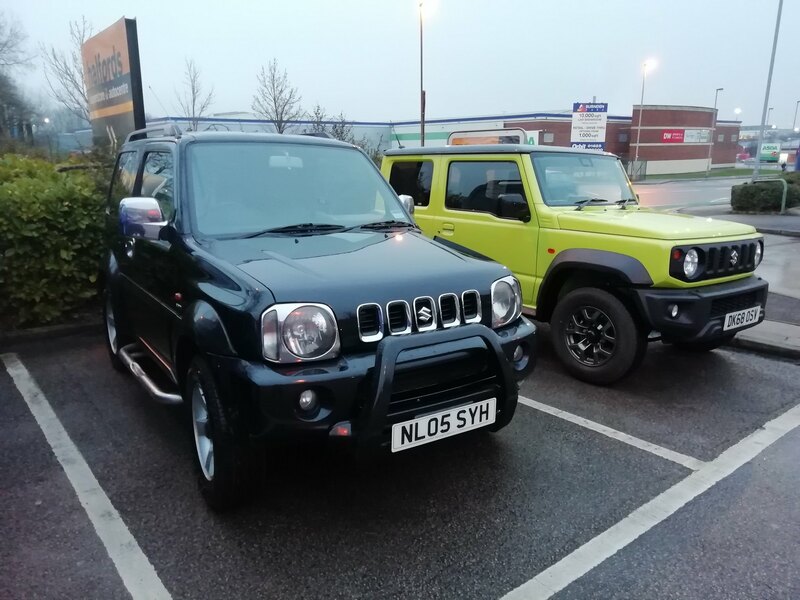 Great little go anywhere vehicle, I prefer the looks of the '05 model of the two in the pic. What's the real world mpg like? Good for the type of vehicle eh m8. Haven't been here for awhile, but I couldn't resist sharing an opinion. You're too old to ride when it isn't any fun anymore. And that has to take into account how you feel the next day. I'm going to be 82 in a couple months, and its still fun! I have found another way to keep riding. I love the XT, but it wears me out after a short time off road. I also have trouble getting on and off of it (arthritis, bad knee and hip joints) I have discovered scooters. I have a 2006 Vespa GT200 (carbureted) which tops out at just over 70 mph on the highway. It's fast enough for freeway riding in the right lane, it's very comfortable, and because it is a step through, it is also very easy to get on and off of. Unfortunately It does not have the ground clearance to go off road. If I get to where I can't ride the XT safely at all, I'll probably get a Honda CT90 or 110. Right now I have a plastic step stool I got from Walmart, that I drilled a small hole in the middle of. I also attached a small chain to it. I have a bolt stuck up through the middle of my luggage rack. I sit the step stool down next to the bike on the left side, hook the chain around the clutch cable, use the stool to climb on the bike with (once on the bike my weight compresses the suspension so I can flat foot it) then I use the chain to pull the stool up to where I can grab a hold of it, I flip it upside down, fit it over the threaded bolt attached to the luggage rack, and secure it with a large wing nut. It is a little difficult to twist around to reach the luggage rack while on the seat, but a lot easier than trying to climb on without something to stand on. I have a PVC tube bolted to the left side of the bike to put my cane in. Where there is a will there is a way. Ha, good on ya Jerry, bit of innovation sorted that problem. Reminds me of a guy I saw at Americade in Lake George, NY years ago. Had a rig with sidecar. Wheelchair strapped to it, and he had NO-LEGS! He got on/off, and handled the wheelchair all by himself. Ya' can't keep a good biker down! Generated in 0.016 seconds in which 0.005 seconds were spent on a total of 16 queries. Zlib compression disabled.